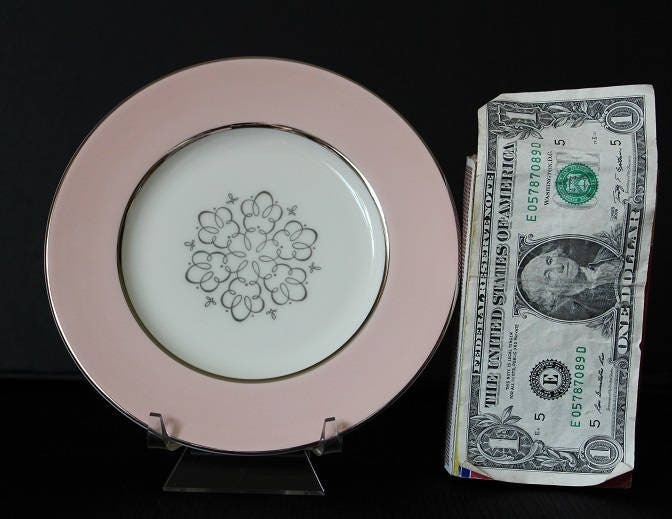 This vintage china bread and butter plate was made in the International China Company during the 1960s . 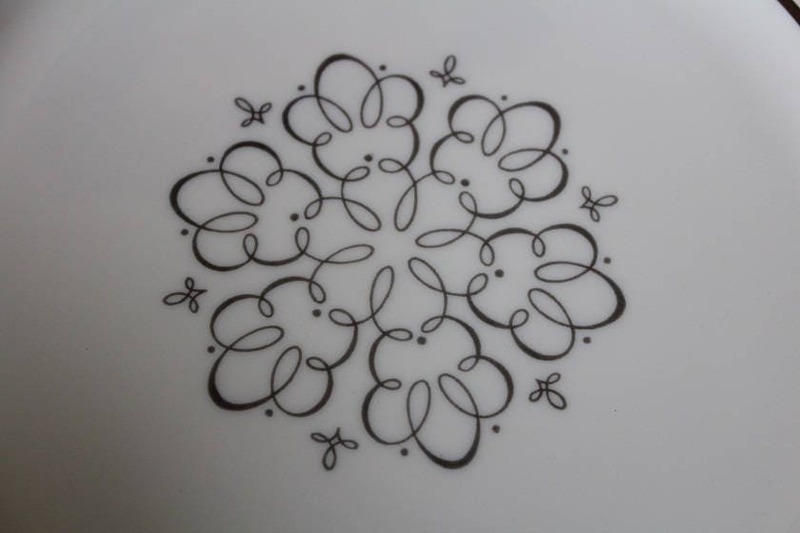 The discontinued pattern is called Candlelite. 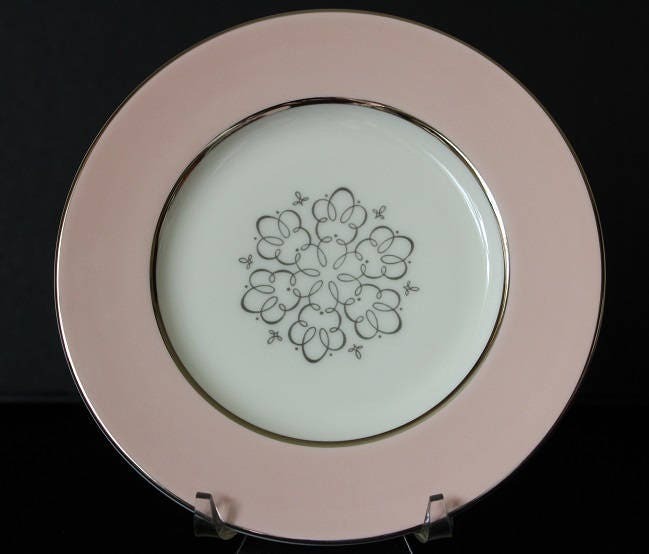 This plate in an overall ivory color with a with a wide pink band which circles around the rim of the plate. This band is framed with a platinum trim. 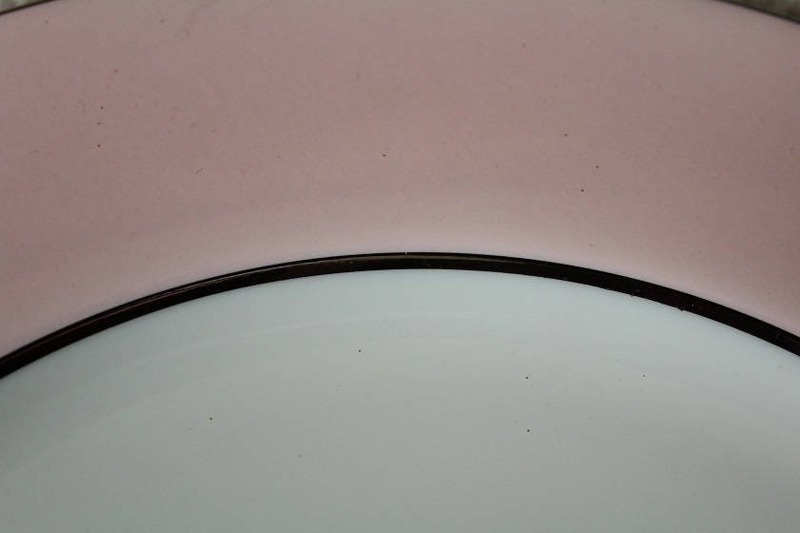 There is a platinum scroll design in the center of the plate. 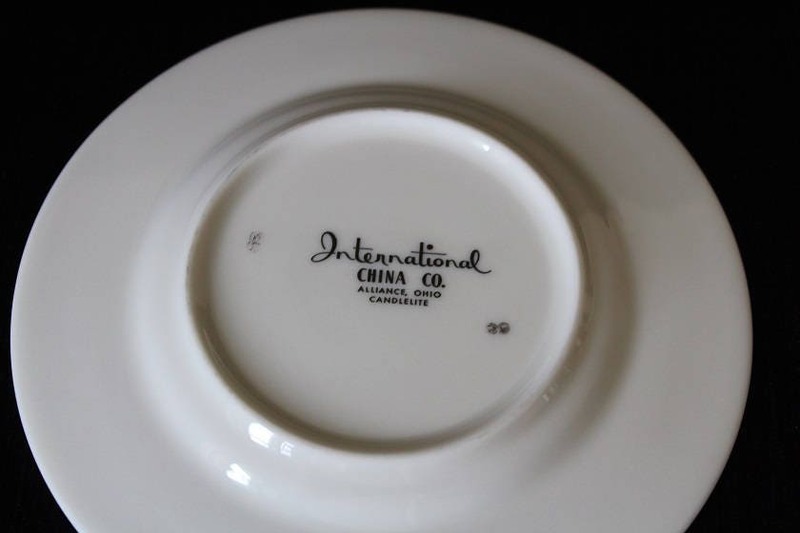 The piece is marked "International China Company / Candlelite" on the bottom. 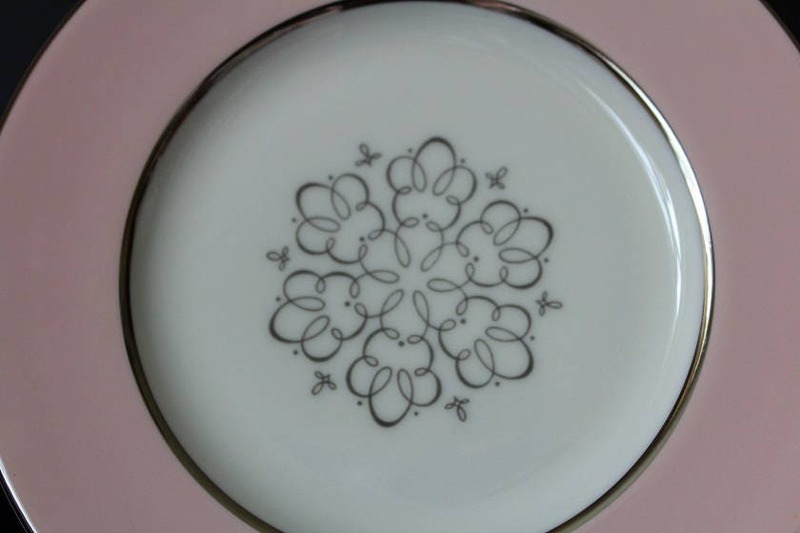 This bread and butter plate is in excellent condition with no chips or cracks.